Despite what you have heard over the years, the famous evil deceiver argument in Meditation One is not original to Descartes (1596–1650). Early modern meditators often struggle with deceptive demons. The author of the Meditations (1641) is merely giving a new spin to a common rhetorical device. Equally surprising is the fact that Descartes’ epistemological rendering of the demon trope is probably inspired by a Spanish nun, Teresa of Ávila (1515–1582), whose works have been ignored by historians of philosophy, although they were a global phenomenon during Descartes’ formative years. In this paper, I first answer the obvious question as to why previous early modernists have missed something so important as the fact that Descartes’ most famous publication relies on a well-established genre and that his deceiver argument bears a striking similarity to ideas in Teresa’s final work, El Castillo Interior (Interior Castle, 1588)? I discuss the meditative tradition at the end of which Descartes’ Meditations stands, present evidence to support the claim that Descartes was familiar with Teresa’s proposals, contrast their meditative goals, and make a point-by-point comparison between the meditative steps in Teresa’s Interior Castle and those in Descartes’ Meditations which constitute (what I call) their common deceiver strategy. 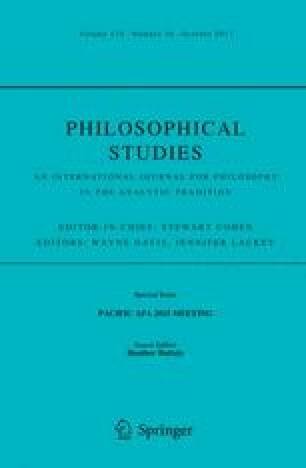 My conclusion makes a case for a broader and more inclusive history of philosophy. Editors of Encyclopædia Britannica. “Pierre De Bérulle - French Cardinal and Statesman.” Encyclopedia Britannica Online. http://www.britannica.com/biography/Pierre-de-Berulle. Newman, L. (2014). Descartes’ epistemology. In E. N. Zalta (Ed. ), The stanford encyclopedia of philosophy. http://plato.stanford.edu/archives/win2014/entries/descartes-epistemology/. Accessed June 1 2016. Schwickerath, R. Ratio studiorum. http://www.newadvent.org/cathen/12654a.htm. The Catholic Encyclopedia. Accessed on 10 Jan 2016.